Kinder Cottage Publishing was started in 2012 by a husband and wife team, Howard and Ann Closs. Their dream was to ensure that children (including their own 4) grow up a with love of western civilization (literature, history, culture and Christianity). To accomplish their dream they started Kinder Cottage and began offering products to help parents everywhere teach their young children. Kinder Cottage currently offers about 30 books and is adding new ones often. We are a book loving family and we have a soft spot for classics. I cannot tell you how many old works of literature we have on our book shelves. There is just something special about classic works. For this review we had our choice of 2 books from the Peter Rabbit collection which contains 10 stories. 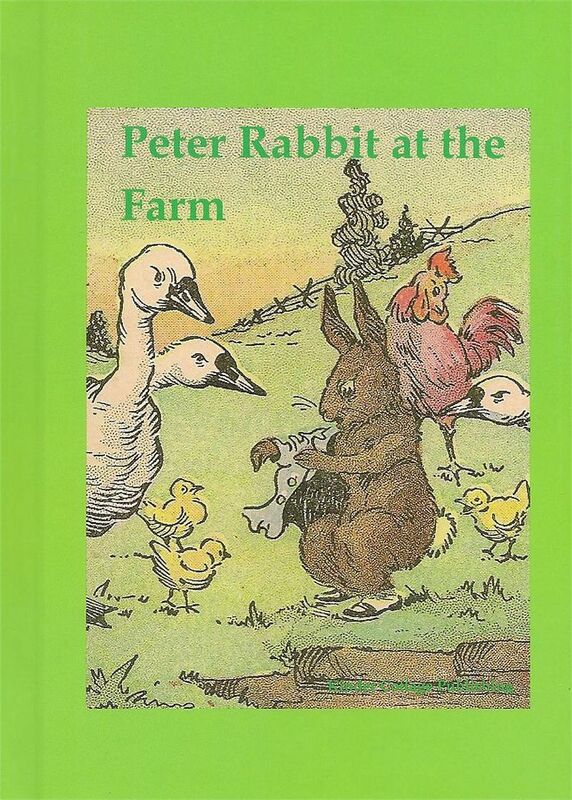 After going over the list several times with the children they finally made their tough choices, Peter Rabbit at the Farm and How Peter Rabbit Went to Sea. If you read my blog often or follow me on social media I'm sure you can guess who choose the farm book! 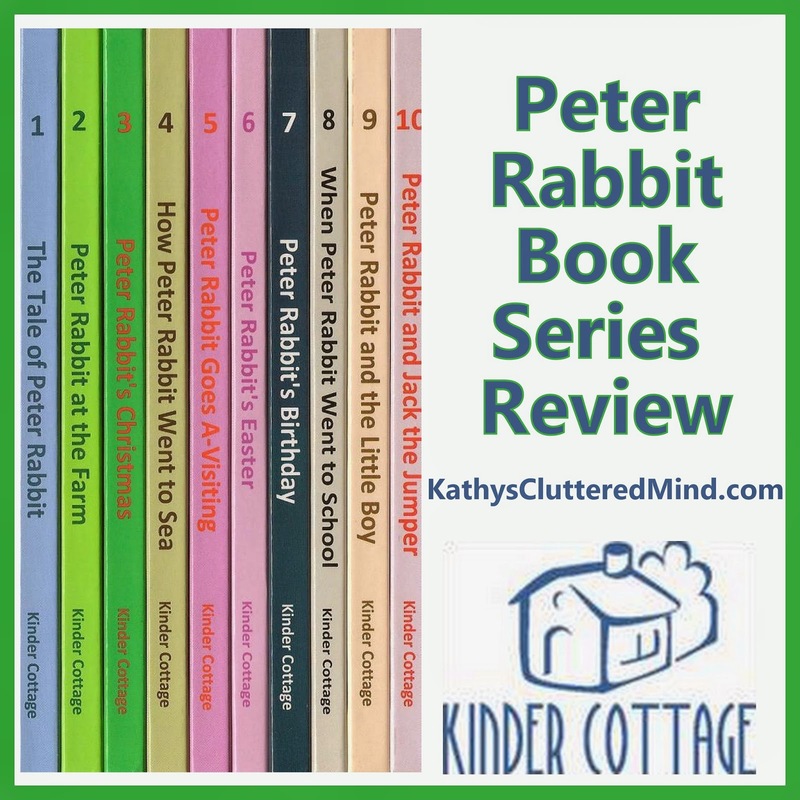 The Kinder Cottage Peter Rabbit series is an adaptation of the original series written by Duff Graham and published by the Henry Altemus Company in 1917 (which makes them almost 100 years old). These adaptions have only been edited to modernize the text. For example - the word velocipede was used on the original texts to mean bicycle. The color illustrations have been preserved and are simply beautiful. The books are geared towards children ages 3-9. 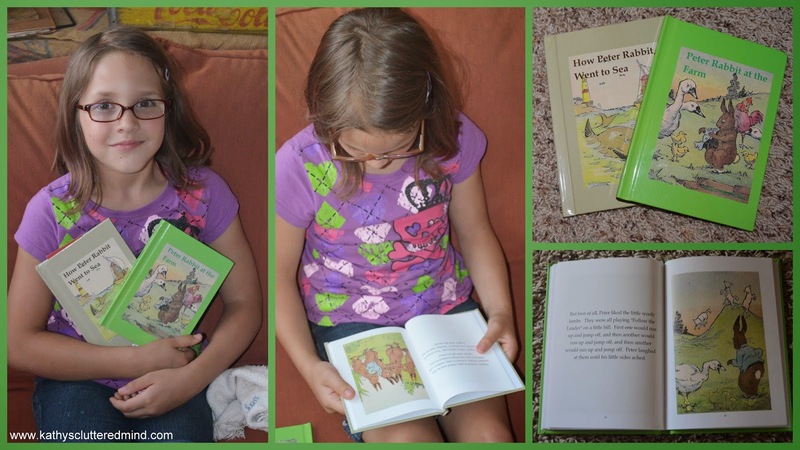 They are 5 x 7 hardbacks which make them perfect for little hands. The text is large and easy to read so they are great for beginning readers. Each book is about 64 pages long with text on the left and an illustration on the right (except for the first page). The main character in each of the books is the mischievous yet lovable character, Peter Rabbit. In each book your family will follow Peter on a unique adventure and meet some of his friends along the way. We have read the books several times since receiving them. They have been read at all times of the day including bedtime (they make a great bedtime book). Most of the time Gwyn (age 8) and I would take turns reading while Rowyn (age 6) listened. The books contain great classic vocabulary and character lessons which make them very easy to expand upon. The books can easily be read in one sitting however younger children may need a break halfway through. Samples of each book are provided on the Kinder Cottage Publishing website. In this book Peter runs away from home and goes on a mischievous adventure to Mr. McGregor's farm. Along the way he meets several animal friends, helps a friend in need and of course gets into some mischief too. First he helps clear mud from a dam so the pond could fill back up with water. Then he and his new friend Little Goosie Poosie continue their journey to the farm. They make friends with the farmer's watchdog, horse and lambs. Then they decide to watch the farm hand milk the cow,. But Peter gets too close and gets kicked into the milk bucket. Off he scampers into the barn where he mets the cat. Peter finally realizes that he should be getting home and sets off on the shortest route home....but he gets lost and ends up getting help from another friend Jim Crow. After arriving at home safe and sound from his adventure he tells mother rabbit and his sisters all about his fabulous day. At the end of the story mother rabbit goes to tuck Peter into bed and warn him never to run away again, but Peter was already fast asleep. First Peter gets distracted and forgets to get the cabbage leaves like his mother told him. As a result he gets a spanking from mother rabbit (the kids found this hilarious). The next day Peter's mother gives him strict instructions for where to be while she goes to visit her friend. After popping some popcorn with his sister Peter decides it's time for an adventure. Against his mothers instructions Peter heads off to the forbidden brook, leaving his sisters behind. While at the brook Peter gets swept away out to sea on a little boat where he has an adventure with a shark, crab, whale, sword-fish and sea gull. Eventually he ends up back at home thanks to the sea gull. He immediately tells his mother he NEVER wants to be a pirate again and begs to be put to bed. I am at it again. 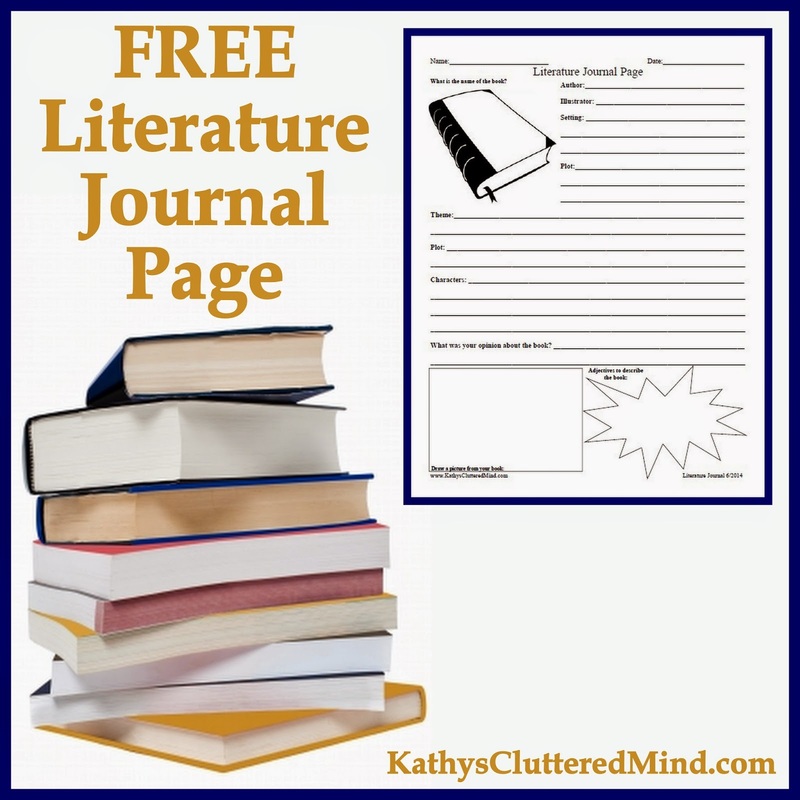 To enhance the amazing literature we are reading I created a journal page for my children. Download your FREE copy on my downloads page. I really like the Peter Rabbit books. They are funny and he gets into trouble just like we do. I like that I can read the books on my own too. 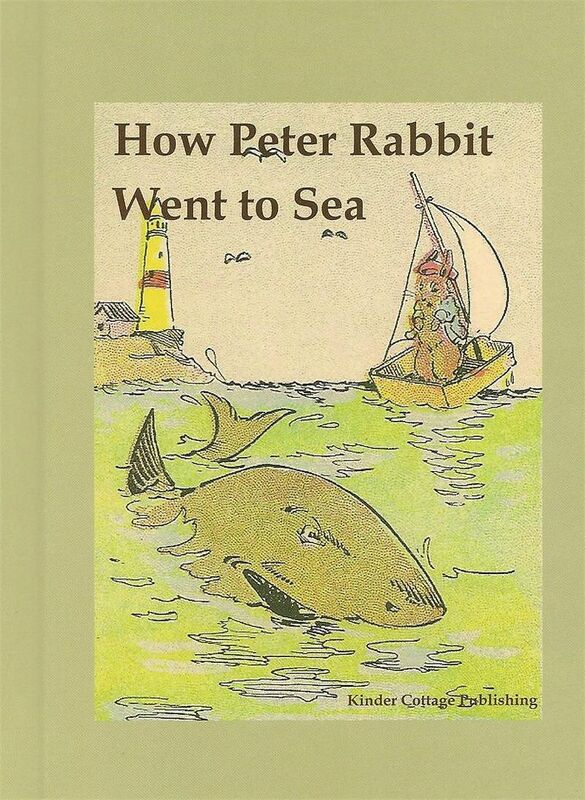 The Peter Rabbit books are $4.00 each or you can purchase the 10 book set for $30. And if you use coupon code TOS you will receive 20% off your order from Kinder Cottage. Click here for more Kinder Cottage reviews from the The Schoolhouse Review Crew.